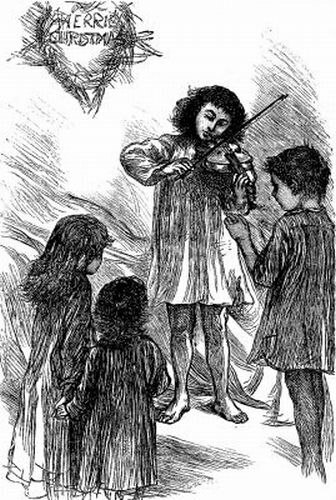 Vintage black and white drawing of a child playing the violin for her friends. This drawing was included in the Christmas issue of a children’s magazine but the reference to the holiday could easily be cropped out to make this image perfect for any occasion. It is from the December 23, 1879 edition of Harper’s Young People.